Usually when people think of tress they do not think of their impact on human life. 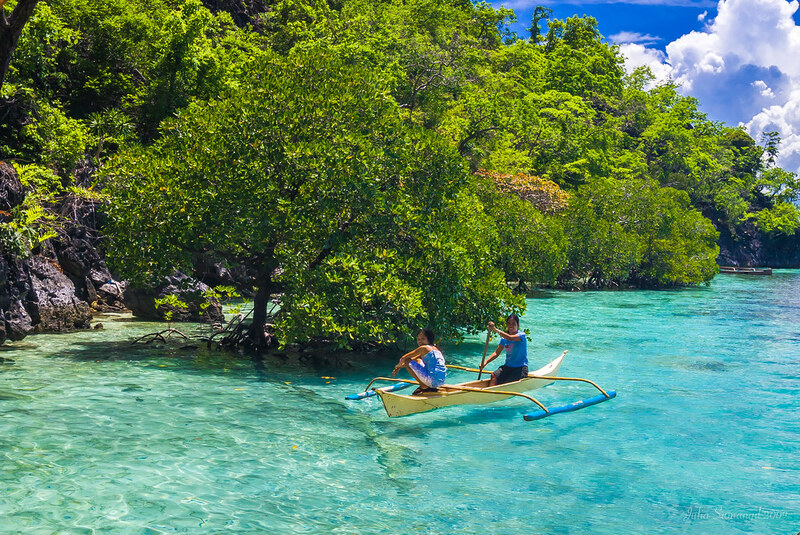 In the Philippines the mangroves offer not only a wide range of ecological value, but a lot of economic value (as I discussed in my earlier blog). A lot of people are unaware of these benefits, and cut them down for various reasons. Unfortunatly, a lot of the economic gain from destroying mangroves is short term, and not equivalent to the value of the unharmed mangroves. One of the largest threat to mangroves, man made fish ponds, are a prime example of this. These fish ponds are often illegal, so they are used for a short period of time and then are abandoned. Once the ponds are abandoned they are of no value, and adversely affect the surrounding area. When the mangroves are eliminated the areas have been found to have 25% less fish, this limits the ability of locals to fish in the area (Rath). These fish ponds are ultimately a large disservice to the local communities because they lead to heightened conflict over coastal resources, increased income disparity and encourages poverty in local communities. This is because these fish ponds are often funded by investors that are only interested in short-term economic gain, and not the long term stability of the local coastal communities. These fish ponds also can lead to issues of property rights, since many coastal communities do not have clear written property rights, so the land can be “claimed” by the “owners” of the fish ponds. This can lead to increased poverty in these communities because they are no longer able to benefit from the fish in these areas, and because their land also can potentially be taken (Escober, 2006). Also often the mangroves are cut down for fuel inside individuals homes. While this is advantageous because it offers fuel, it ultimately harms the homes inhabitants due to smoke inhalation. On a larger scale, mangroves offer many services that are challenging to monetarily measure, such as their ability to mitigate the ill effects of climate change. Generally climate change impacts those in lower socio economic statuses at a disproportionately large rate when compared to their wealthier counterparts. Since mangroves have such a large capability for carbon sequestration, their removal will ultimately lead to more carbon in the atmosphere, which resultantly leads to climate change. By protecting mangroves you can help to end the cycle of poverty! You can help us to end the cycle of poverty by volunteering or donating to Enhance a Village.